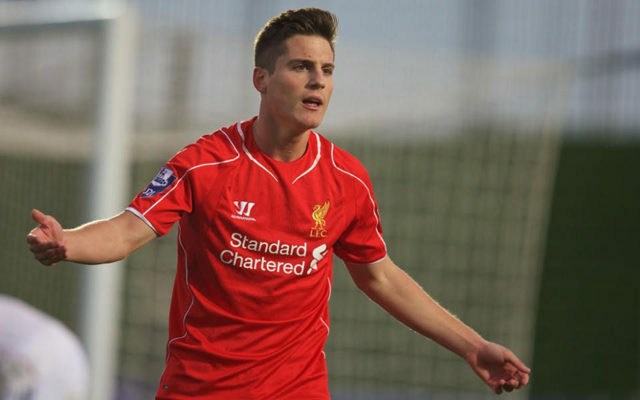 Promising youngster Sergi Canos is reportedly poised to leave Liverpool after failing to reach an agreement over a new deal at Anfield. According to the Echo, the Spanish midfielder has reached an impasse in his contract negotiations and will make a £2.5m move to Bristol City. Canos is familiar with the Championship, having spent last season on loan at Brentford, where he made 38 appearances and scored seven goals. Jurgen Klopp was impressed enough with the youngster to rush him back for a Premier League debut in the final-day draw with West Bromwich Albion. But the Echo understands that Canos wants £10,000 a week wages to sign an extension – considerably higher than other recent academy graduates. This is said to be a major sticking point which could spell the end of Canos’s time at Liverpool, at least for now as the Reds are giving themselves a safety net. The Echo reports that the Canos deal will include a significant sell-on fee, and a buy-back clause which would allow Liverpool first refusal on the player.